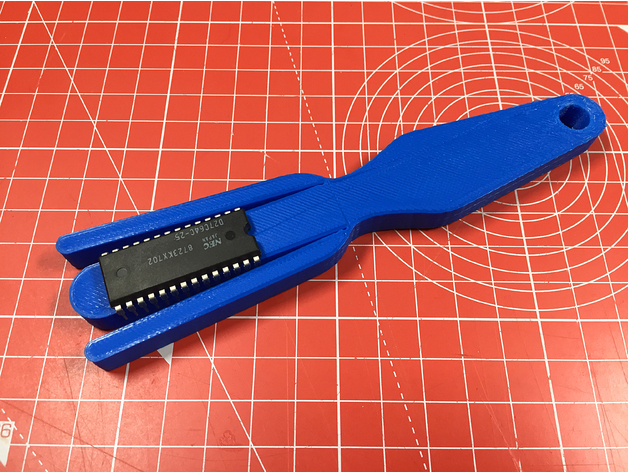 Large DIP IC Lead Bender v1.00 #3DThursday #3DPrinting « Adafruit Industries – Makers, hackers, artists, designers and engineers! This is a pin bender for the larger types of DIP ICs. It is a development of my Small DIP IC Lead Bender: https://www.thingiverse.com/thing:3121797 The pair together should be able to cope with most DIP chips.